Samsung announced plans to enter the booming video game industry with the Samsung Cloud Gaming service, powered by Gaikai. Samsung will take advantage of Gaikai's cloud gaming service, which streams games directly to users and removes the necessity for expensive gaming hardware. 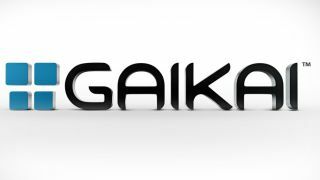 Gaikai already offers streaming game demos from their website, but Samsung will provide the UI and the games for their own Cloud Gaming service. Samsung is simply purchasing bandwidth from Gaikai's powerful data centers and paying on a per-device basis for their service. The Samsung Cloud Gaming service will be available to anyone with a Samsung Smart TV or a PC. Taking on the "big three"
Samsung is looking to take on Nintendo, Microsoft and Sony (the "big three" of the gaming industry) by entering the fray without developing expensive and risky gaming hardware like the Xbox 360 and Sony PS3. "Samsung will become a first party and we will power their game network," Gaikai Chief Executive David Perry said in a published report. "They will be the fourth major company. They are going after gaming." Instead of developing their own gaming console, Samsung will take advantage of Gaikai's robust servers, powered by Nvidia's latest Kepler-based graphics chips. Gaikai's servers process the games at the company's data centers, and the visuals and sound are streamed to users over a broadband connection. That means that anyone with a decent internet connection and a PC or Smart TV can instantly stream triple-A games that would normally require powerful gaming hardware right to their living rooms. Another of Samsung's biggest competitors will be OnLive, who launched their own cloud gaming service in 2010. OnLive has yet to catch on to the same degree as Microsoft, Sony and Nintendo, in part because of poor performance over less-than-stellar internet connections. Samsung reportedly has almost 40 games that will be ready to stream when the service launches in the coming weeks, and that number is likely to grow. Gaikai is prepared to send out controllers (any universal USB controller will work) to users who sign up for the Samsung Cloud Gaming closed beta, which could begin in the next 30 days. When the service launches this summer, users will be able to try out games for free for half an hour before buying them. Samsung hasn't announced pricing info or what games will be available on the service, and the company's representatives did not immediately respond to TechRadar's request for comment.